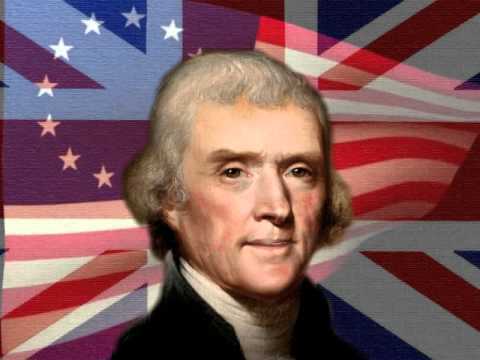 Thomas Jefferson -- author of the Declaration of Independence and the Statute of Virginia for Religious Freedom, third president of the United States, and founder of the University of Virginia -- voiced the aspirations of a new America as no other individual of his era. As the public official, historian, philosopher, and plantation owner, he served his country for over five decades. His father, Peter Jefferson was a successful planter and surveyor and his mother Jane Randolph, a member of one of Virginia's most distinguished families. Having inherited a considerable landed estate from his father, Jefferson began building Monticello when he was twenty-six years old. Three years later, he married Martha Wayles Skelton, with whom he lived happily for ten years until her death. Their marriage produced six children, but only two survived to adulthood. Jefferson, who never remarried, maintained Monticello as his home throughout his life, always expanding and changing the house. Jefferson inherited slaves from both his father and father-in-law. In a typical year, he owned about 200, almost half of them under the age of sixteen. About eighty of these lived at Monticello; the others lived on adjacent Albemarle County plantations, and on his Poplar Forest estate in Bedford County, Virginia. Jefferson freed two slaves in his lifetime and five in his will and chose not to pursue two others who ran away. All were members of the Hemings family; the seven he eventually freed were skilled tradesmen. Having attended the College of William and Mary, Jefferson practiced law and served in local government as a magistrate, county lieutenant, and member of the House of Burgesses in his early professional life. As a member of the Continental Congress, he was chosen in 1776 to draft the Declaration of Independence, which has been regarded ever since as a charter of American and universal liberties. The document proclaims that all men are equal in rights, regardless of birth, wealth, or status and that the government is the servant, not the master, of the people. 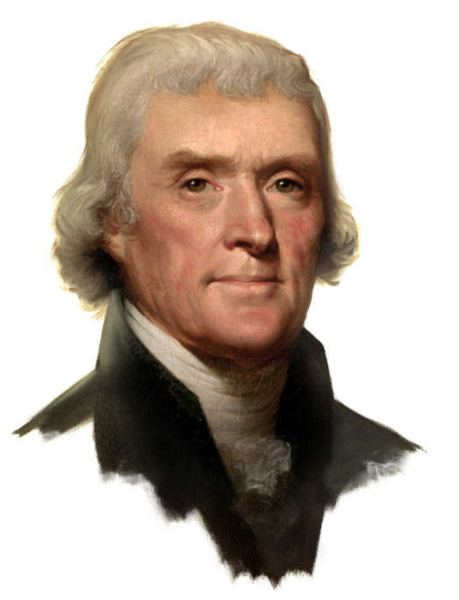 After Jefferson left Congress in 1776, he returned to Virginia and served in the legislature. Elected governor from 1779 to 1781, he suffered an inquiry into his conduct during his last year in office that, although finally fully repudiated, left him with a life-long prickliness in the face of criticism. During the brief private interval in his life following his governorship, Jefferson wrote Notes on the State of Virginia. In 1784, he entered public service again, in France, first as trade commissioner and then as Benjamin Franklin's successor as the minister. During this period, he avidly studied European culture, sending home to Monticello, books, seeds and plants, statues and architectural drawings, scientific instruments, and information. 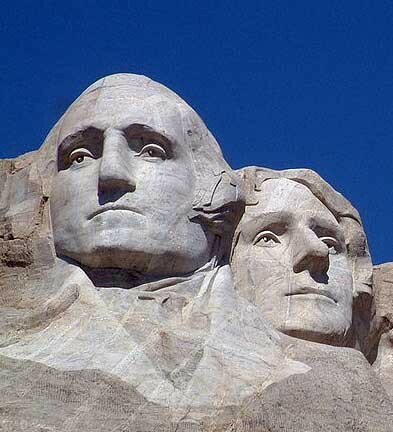 In 1790, he accepted the post of secretary of state under his friend George Washington. His tenure was marked by his opposition to the pro-British policies of Alexander Hamilton. In 1796, as the presidential candidate of the Democratic-Republicans, he became vice-president after losing to John Adams by three electoral votes. Four years later, he defeated Adams and became president, the first peaceful transfer of authority from one party to another in the history of the young nation. 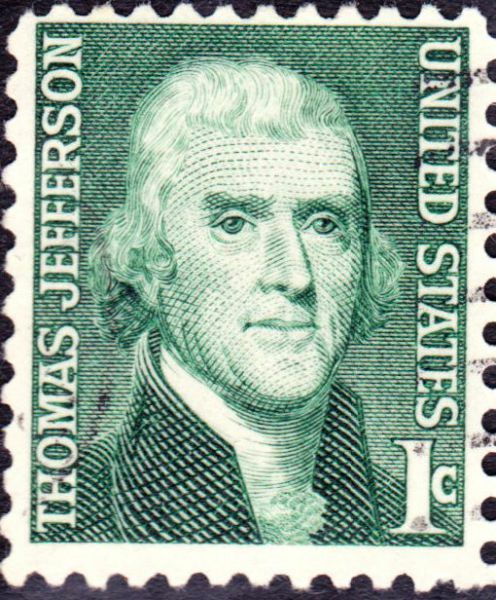 Perhaps the most notable achievements of his first term were the purchase of the Louisiana Territory in 1803 and his support of the Lewis and Clark expedition. His second term, a time when he encountered more difficulties on both the domestic and foreign fronts, is most remembered for his efforts to maintain neutrality in the midst of the conflict between Britain and France; his efforts did not avert war with Britain in 1812. 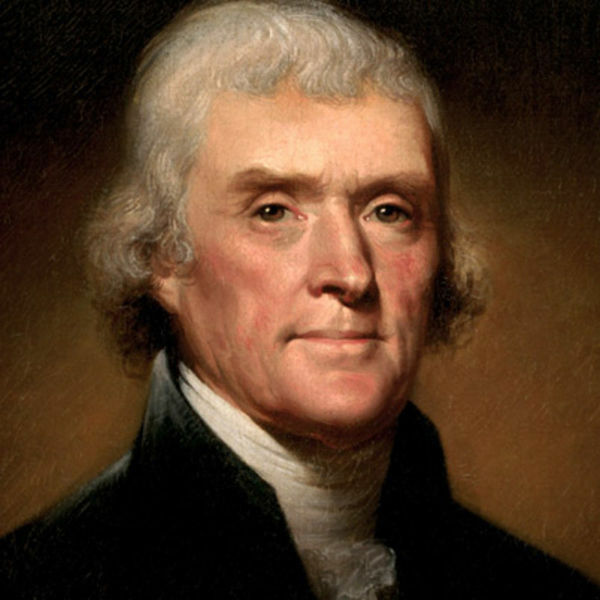 Jefferson died on July 4, 1826, just hours before his close friend John Adams, on the fiftieth anniversary of the adoption of the Declaration of Independence. He was eighty-three years old, the holder of large debts, but according to all evidence a very optimistic man.